One of the great things about CBC Radio 3 is the opportunities for interaction, with the hosts, bands and live radio in general. 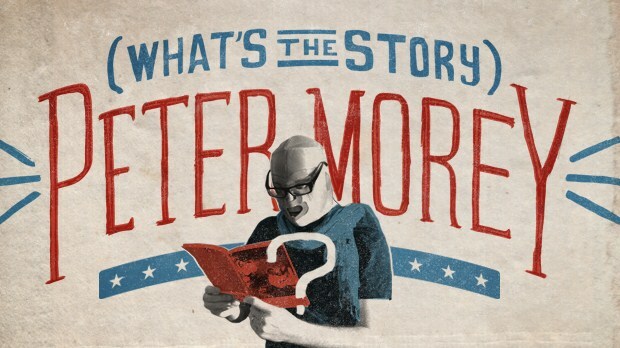 We're not just talking about the blog, although that's an integral part of the R3 experience. 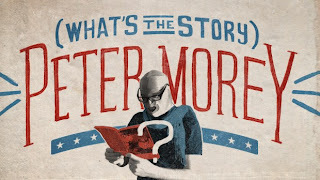 You don't have to be on the blog to put your name in the hat for the Listener Co-Host Initiative with Craig Norris, or call in to Trivia Tuesday with Grant Lawrence. Taping a show with Radio 3 in conjunction with NXNE has become something of a tradition. A small group of bloggers that included musicians Jody Glenham and The Mountains & The Trees recorded with Craig Norris at NXNE in 2010; last year, we taped a Breakfast Club with Vish Khanna. This year, Craig Norris hosted listeners who were on board Tracks on Tracks. And on Fri., Jun. 15, N2DS2W put Radio 3 host Pete Morey on the spot with Montreal's Parlovr over his mispronunciation of the band's name (say "parlour," not "par-lover"). Radio 3 bloggers CDNz1 and Zoot Aloors named Pete's show. Although not new to CBC-- Morey's worked on a variety of programs including GO! with Brent Bambury, Q with Jian Gomeshi and Radio 2 Morning--he's relatively new to Radio 3, and doing a great job holding down the fort as a weekend host and filling in other time slots. Many thanks to CBC Radio 3 and Pete for giving us another great NXNE experience to cherish. Say you... yeah, you. Whatever else you had planned for this Friday night, we have a better idea: spend it at the Magic Stick with the perfect fusion of alt pop, R&B and soul of Winnipeg's Imaginary Cities. After playing Detroit's Fox Theatre last year opening for the Pixies, then Windsor last fall at the Phog Lounge, they're getting to be temporary residents of the area. They've scored a lot of other great opening gigs-- Rural Alberta Advantage, Ra Ra Riot, the Weakerthans and the Besnard Lakes-- so it's nice to see them getting the headline. You can shred cheese. You can shred paper. You can shred snow, carrots, guitar and chicken. We've seen fiddlers at shows shred their bows. But nobody shreds stoke folk better than Fernie, B.C. 's Shred Kelly. Fresh off Tracks on Tracks and NXNE 2012, Shred Kelly return to the Phog with new material from their upcoming album. Listen. Regina's Library Voices was the very first show review we ever wrote, and everything we observed then holds true now: in our humble opinion, they deliver one of the best live shows of any Canadian indie band. We love them so much, our Traveller's Digest includes spending our next two Fridays with them. We'll be tunneling over to Windsor tomorrow (as long as there isn't another bomb threat), and next Friday in London when we're in town for the Home County Folk Festival. The Summer of Lust lives on. We need more drummer photos. Here's a drummer photo. Our entire NXNE 2012 was full of great music, people and experiences, but if we had to pick a day that best sums up what you can squeeze into less than 12 hours at NXNE, it would be Thursday, from top to bottom. We started off the day with an interactive session, then headed over to Chinatown to spend the afternoon with fellow CBC Radio 3 bloggers at the Audio Blood and Bonsounds Rooftop Riot! presented by Steam Whistle. We didn't see the promised free haircuts and tattoos-- and would have been reluctant to partake of either-- but there was plenty of free Steam Whistle, Vitamin Water, tri-color popsicles and cupcakes. We did see two great sets of Canadian indie rock, from Francophone Les Breastfeeders (Montreal), and Burlington's Sandman Viper Command. We've been fans of SVP since last year, when they were feeling under the weather and still stormed through every song they knew, and then some at the Phog. When the Steam Whistle ran out so did we. Waiting outside the venue for everyone from the group to gather, we had one of those NXNE moments. "Uh, isn't that Old Man Luedecke over there?" And it was. "I'm kind of here by accident," said Luedecke, who remembered us from his show in London a few weeks earlier, as "the ones from Detroit." Next we had a dinner date with Pho Hung, which proved to be, chopsticks down, the best meal we had that week. One order of BÚN THỊT NƯỚNG, NEM NƯỚNG, CHẢ GIÒ (Grilled Pork, Spiced Grilled Pork Roll, Spring Roll with Vermicelli and Vegetables) and one order of BÚN XÀO BÒ, GÀ HOẶC THẬP CẨM (Stir Fried Vermicelli with Mixed Vegetables with Pork, Beef and Chicken), total bill $15.50. What do these two well-known names have in common? "Karen Silkwood" is a song by PEI's nerdy in the best way possible Boxer the Horse off their new album, French Residency. Their virtually perfect set of alt-pop/rock at the El Mo made us all the more sorry they missed the Said The Whale/Chains of Love show at Windsor's Capitol Theatre last April due to a scheduling mix-up. Our next stop was the Velvet Underground to hear "Peter Sellers," the strongest single from Toronto's Stella Ella Ola. The new band features the two Boyd brothers from R3 favourites Hollerado, Nixon and Jake, Vince Rice (Atom Division) on drums and Anne Douris on guitar and vocals. Famous for stripping down to his skivvies during Hollerado shows, at a shouted request a tipsy Jake willingly doffed his shirt, but kept his pants on. Our next show, both in artist and venue, couldn't have been more different from the previous two: the weather station in the Great Hall Lower Theatre. Instead of a mostly male raucous rock group, there was the fair and fey Tamara Lindeman, standing on tiptoe at the mic as she performed songs like "Traveller" to a reverent audience. As if using an electric guitar at the start wasn't daring enough, "We're going to try something crazy," she announced. Crazy was adding Ian Kehoe (Attack in Black, Marine Dreams) on drums and some back-up singers. Lindeman was as unique as her 80-year-old acoustic guitar, and just as treasured and lovely. Up in the Great Hall proper, the phone rang: "Hello, Rachel? This is Spookey Ruben. I sit next to you in U.S. History. Yeah, and I traded your tangerine peels for pencil shavings. Did I mention that I play in a band?"... A dynamo making sunny 60s-inspired pop that rocks, Spookey Ruben (Toronto) gets our vote for most fun show of NXNE 2012, complete with hugs from a giant owl. 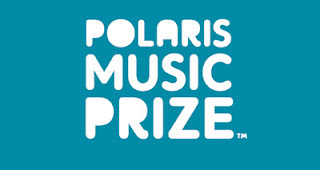 The Polaris Music Prize is one of the most hotly debated topics on the CBC Radio 3 blog. Nominees are too commercial (Arcade Fire won last year). Nominees aren't commercial enough (Drake didn't make the list in 2011, but did this year). How could judges leave this album off? (Ahem, Brasstronaut's Mean Sun). How could they include that album? "Polaris recognizes and markets albums of the highest artistic integrity, without regard to musical genre, professional affiliation, or sales history. It is adjudicated by selected music journalists, broadcasters and bloggers." There are a lot of great albums from Radio 3 bands and artists on the 2012 long list: Marie-Pierre Arthur, Rich Aucoin, Handsome Furs, Fucked Up (who won in 2009, confounding music journalists everywhere), Great Lake Swimmers, Parlovr and more. If you want to voice your opinion about what you think is the best Canadian album of 2012, you can get in on the voting action. For the fourth year, our friends over at www.nxew.ca are running the Shadow Polaris. The 40 long-listed albums are automatically included, so this is your chance to nominate albums you think the jury overlooked. (Ahem, Brasstronaut's Mean Sun). One thing we decided to differently this year at NXNE, and the reason we added another day onto our schedule, was to attend some of the interactive sessions. Unfortunately, we underestimated Toronto traffic again and missed the sessions we wanted to see on Wednesday: "Punk: A Not so Unbiased Take on How it Shaped All Modern Music" (led by Damian Abraham of Fucked Up), and for obvious reasons, "Living in the Map: Adventures in Making Detroit a More User-Friendly City." So the lone session we attended, on Thurs., Jun. 14, was "The Rise of the 'Artistpreneur' and Entertainment Industry 2.0." "The line between amateur and professional artists is blurring and entertainment industry stakeholders are losing control over whose art gains popularity. Unsustainable industry business models have given rise to a new one: the 'artistpreneur.' What's an artistpreneur? It's anyone who sees their creative production from initial concept to a finished, market-ready product. It is the synthesis of art and business; a response to a democratized arts/entertainment industry." There's been both opinion and vitriol over how bands should get money for their art and who should give it to them. In addition to D-Sisive, the panel featured business entrepreneur Jayson Gaignard, and Matt Fullbrook, of the seven-member band KC Roberts and the Live Revolution. Three different points of view, three different opinions, and three different experiences. Gaignard's advice was to take the Tony Robbins approach: "Study like successes and implement that strategy," he advised. D-Sisive was quick to respectfully point out "That model isn't going to work for everyone," referring to instances where mentorship helped pave the way to success, i.e. Justin Bieber and Usher, Dr. Vincent Lam and Margaret Atwood. Fullbrook and his band have embraced DIY, from learning to do tasks themselves (instead of hiring an expert) to doing their own fundraising. The most interesting discussion centered on giving music away for free. As Gaignard pointed out, "Attention is the new currency." For D-Sisive, free "Wasn't meant to be a strategy," he explained. "I had two retail albums already out. My first free album was Jonestown, and that's when things picked up for me. Free has been my friend." (And Jonestown is still available for free download.) But KC Roberts and the Live Revolution haven't had to go that route; they raised more than $26,000 through an online campaign to fund recording of their last double album. What shouldn't be free? Some private sector media companies in Canada think CBC Music (which includes our beloved CBC Radio 3) shouldn't be offering free streaming music. Panelists agreed things like t-shirts and shows shouldn't be free. Yet we've been seeing a trend of more free Canadian indie shows in the Detroit/Windsor area. The business model will keep evolving. Artists may shrink from the comparison, but Gaignard noted early on that artist = brand, art = service. We don't expect dentists or lawyers to provide their service for free, and we shouldn't expect it of artists. Which makes us even more committed to supporting bands however we can, whether it's buying merch, paying cover or promoting them here, so they can keep on making the music we love.